Demo Day presenter Lynsie Campbell of LaneSpotter. Image courtesy of Lynsie Campbell. The Pittsburgh startup community came together on Wednesday to welcome the latest batch of new companies coming out of the AlphaLab and AlphaLab Gear accelerators. Twelve early-stage companies presented their services and products during Demo Day at Carnegie Library Music Hall in Munhall. 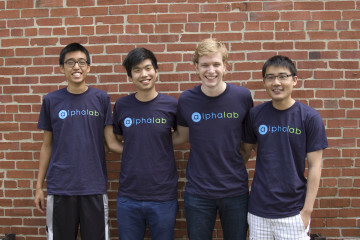 Presented by Innovation Works, the annual event serves as a sort of graduation ceremony for the latest round of hardware and software startups that spent four months working with AlphaLab and AlphaLab Gear. For the first time in Demo Day’s history, the cohorts also met with out-of-town investors the day before the event. Also new this year was the location in the historic venue in Munhall, which received raves from several in the crowd who had never been there. One similarity uniting the new companies was the focus on helping vulnerable or underserved populations both here and abroad. How they plan to achieve that varies wildly. 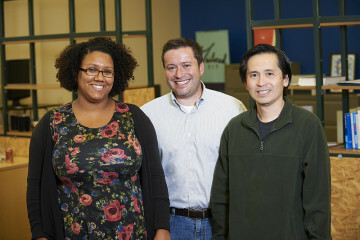 AlphaLab cohort and UpPrize finalist, BlastPoint, seeks to make data gathering more accessible to nonprofits. Zaabox, on the other hand, provides a luxury bath and body subscription service for black women, a demographic often ignored by high-end retailers and brands. Other Demo Day presenters represented a wide swath of areas and expertise, including the smart thermostat company HiberSense (read more about them in our 17 Pittsburgh tech companies to watch in 2017 feature), the STEM-learning system NoRILLA and Module, an architecture startup that designs homes able to grow with your family or income. Also presenting was Adrich, which is creating smart labels for products that capture user data, and GoJaneGo with their app called Amelia for traveling business women who want to connect with each other on the road. Among the presenters from AlphaLab was Lynsie Campbell. 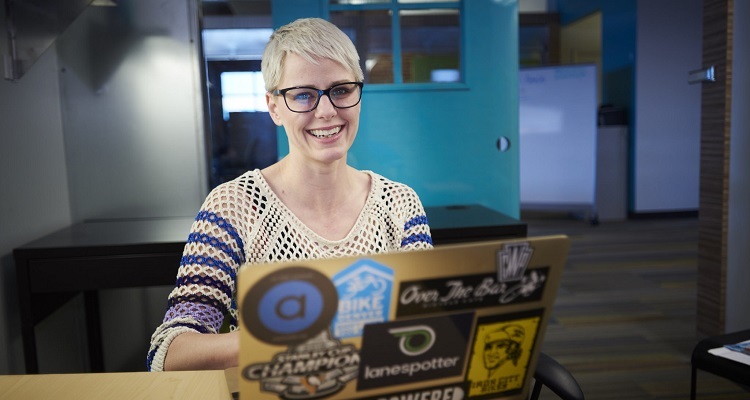 The former co-founder and president of the online ticketing platform ShowClix was on hand to pitch her latest venture, LaneSpotter, a map-based navigation tool that helps bicyclists find the safest routes. “As a frequent attendee over the years, I’ve always been struck by how the community comes together to support the people who just spent 20 weeks grinding away to take their business to a new level,” she says. During her presentation, Campbell said she started thinking about bike riding in a completely different way when she moved back to Pittsburgh two years ago with “a future bike commuter”—her toddler son. She decided to design something that would provide bicyclists with a solution for getting around inconvenient or potentially dangerous transportation infrastructures. She made a case for LaneSpotter, using statistics showing that an estimated 30 percent of millennials don’t own cars and that there’s been a 62 percent increase in biking, as well as an explosion in bike sharing services like Pittsburgh’s own Healthy Ride. So far, the beta version of LaneSpotter has attracted 270 users across Pittsburgh, Denver and Cleveland.